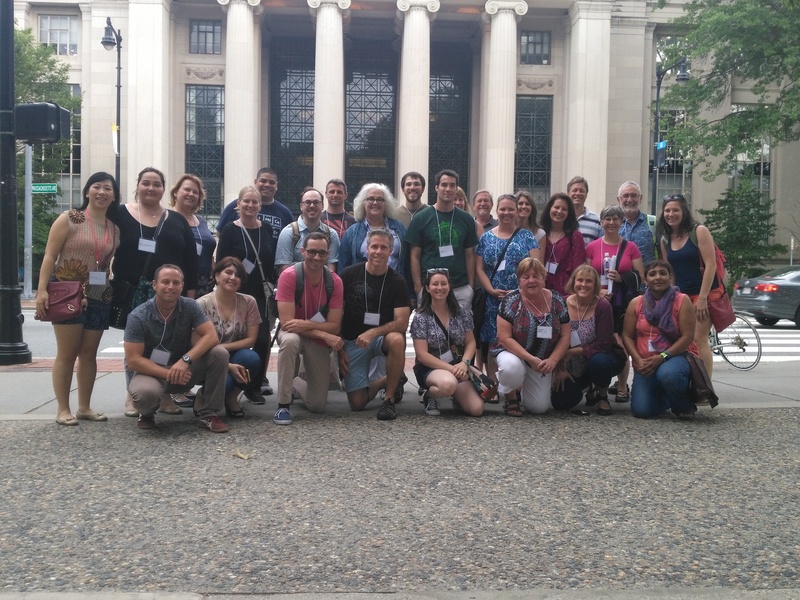 For the 28th year, MIT and the Scheller Teacher Education program hosted the Science and Engineering Program for Teachers (SEPT). This week long professional development opportunity for teachers from across the world is supported by Rita and Joseph Scheller with additional support coming from the MIT Alumni Programs. This year’s class of 27 teachers featured distinguished educators from Argentina, Germany, and from U.S. states such as Washington, California, Texas, Pennsylvania, and many more. The first day of this year’s camp featured engaging lectures from professors in Brain and Cognitive Sciences, Biology and Electrical Engineering, and Computation. The day ended by playing Fishbanks, a multiplayer web-based simulation in which participants play the role of fishers, gaining the opportunity to learn about the challenges of managing resources sustainably in a common pool resource setting. Fishbanks was developed by Jason Jay, Director of the Sustainability Initiative at the MIT Sloan School of Management. Tuesday kicked off with a talk about MIT Blossoms, followed by a talk from Professor Hazel Sive in the Biology department. After that, the teachers headed over to the Google office for a tour of the space and an informal presentation on some of their new educational tools. The afternoon concluded with two afternoon talks focused on math instruction before wrapping up by playing a game developed by Phillip Tan, a Research Scientist at the MIT Game Lab. 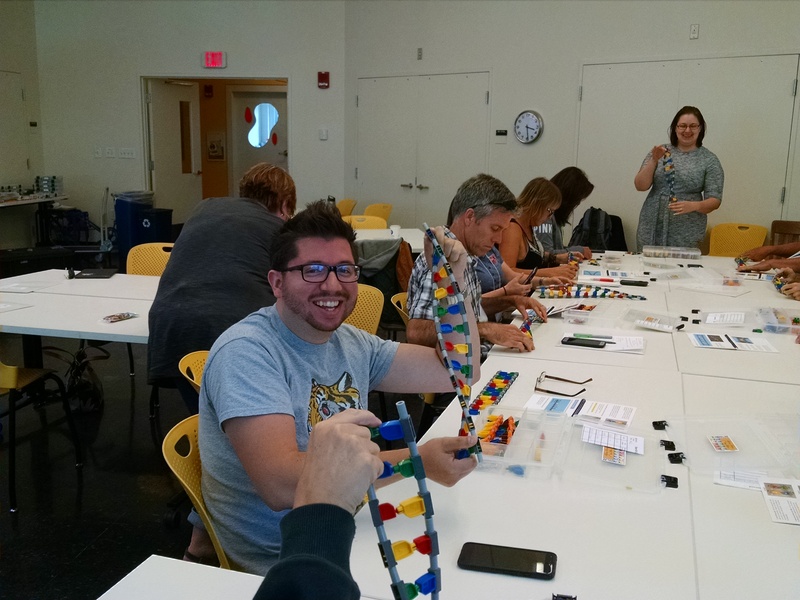 On Wednesday, teachers ventured over to the MIT Museum where they participated in two interactive session led by Dr. Kathy Vandiver and Ed Moriarty. During these sessions, teachers participated in manipulating cell processes and creating circuits. Thursday focused on Computer Science and Physics. Teachers also had the unique opportunity to visit the Wright Brothers Wind Tunnel with a guided tour provided by William Litant with the department of Aeronautics and Astronautics. The day wrapped up with a tutorial of StarLogo and time to begin working on creating their own simulation. On Friday, former SEPT attendees who are members of NEST (Network of Educators in Science and Technology) were invited back to campus to participate in the sessions. We heard from professors in Materials Chemistry, Nuclear Science and Engineering, Computer Science and Engineering and Center for Materials Science. 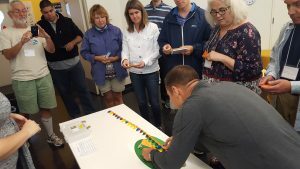 The daily sessions wrapped up allowing teachers to choose a session focused on playful, powerful learning that they were interested in attending. That evening, we celebrated with a formal dinner at the R&D Commons where we heard from our keynote speaker, Peter Senge from the Sloan School of Management. We look forward to hearing about the changes teachers make in their classrooms after attending SEPT and the outcomes and impact it has on their students. See you next year!